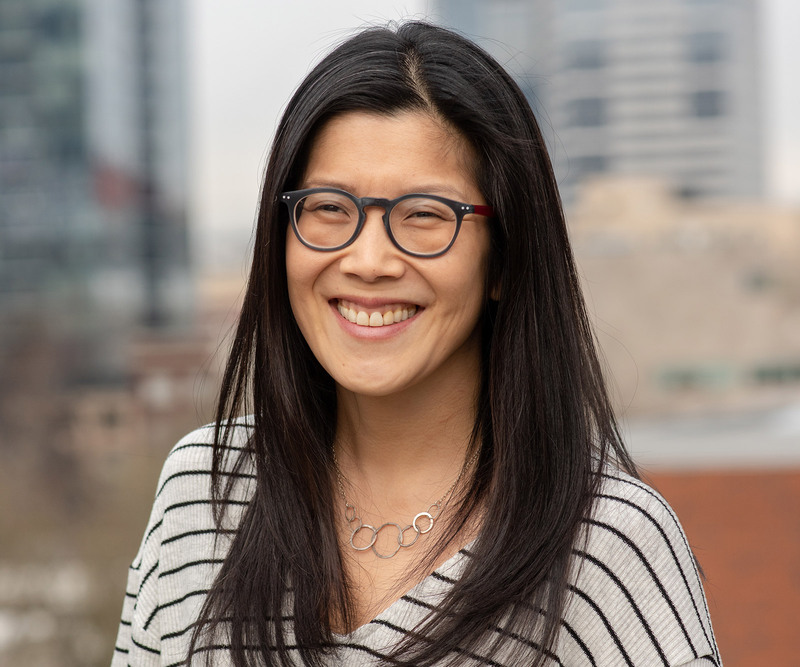 As if being called a principal investigator wasn’t already cool enough, Betty is also a registered dietician and an associate professor at the joint School of Public Health at Oregon Health & Science University and Portland State University. The importance of exposing children to a wide range of fruits and vegetables from a young age. How Harvest for Healthy Kids also helps make healthy, varied meals more accessible at school and less of a risk for families with limited time and money at home. The incredibly low levels of food waste—and incredibly high levels of food gratitude—at schools in Japan. Listen at the link below, on iTunes, Stitcher, Google Play, Spotify, or wherever you get your podcasts. Welcome to Rootstock Radio. Join us as host Theresa Marquez talks to leaders from the Good Food movement about food, farming, and our global future. Rootstock Radio—propagating a healthy planet. Now, here’s host Theresa Marquez. THERESA MARQUEZ: Hello, and welcome to Rootstock Radio. I’m Theresa Marquez, and I’m here today with Betty Izumi, who is a registered dietician, and she’s an associate professor at the School of Public Health [at Portland State University]. And Betty focuses on issues at the intersection of nutrition, sustainability, and health equity, and she is the principal investigator for a wonderful project called Harvest for Healthy Kids, an organization that connects children in early care and education settings to local agriculture through classroom education and food service modification and family engagement. Today, Betty and I are going to talk about a really, really important topic, and that is school lunch and how to get kids to eat healthy food. Betty, thank you so much for talking with me today. It’s just a pleasure to meet you and be with you. TM: And so, Betty, you know, I am so intrigued with this topic of school lunch and nutrition for kids. I would love to hear from you, what is it that you’re passionate about, this topic? BI: Yeah, you know, I think that it’s really important to help children from a really young age to develop a healthy palate for tasting different types of fruits and vegetables and other healthy foods. And in our society, we’re just so bombarded with highly processed, sugary, high-fat foods that don’t promote health. And as a mom myself—I have two children, seven and twelve years old—I know that it’s just really easy to grab the highly processed foods. And so, to the extent possible, I think it’s really important to create environments in which it’s just easy to get nutritious foods. And schools are one of the environments in which children spend a lot of their time. TM: So some of the programs that you’re involved with are Head Start, and maybe some of our listeners aren’t sure what Head Start is. Maybe you could say a little bit about what Head Start is, because you talked about this idea of healthy eating starting young, and how important that is. So a few words about Head Start. BI: Yeah. Head Start is the largest federally funded early-childhood development program in the country. And over the last eight years or so I’ve worked with Mount Hood Community College Head Start and Early Head Start. So the program serves children and families who are from low-income backgrounds, providing them with high-quality education, snacks, meals, nutrition education, family engagement. TM: Well, you know, there’s a couple of real questions that really came up when I was reading all about you and your work. And one of the emphases was not just about eating healthy food but about sustainability and food equity. So I’m just curious: I’ve met dieticians and they went, “Oh, no, no, no—I only want to talk about plate to stomach.” And for those of you out there, that means they don’t want to talk about anything that happens before the food gets to the plate. So why is it you’ve broadened your thinking beyond just plate to stomach? BI: Well, you know, I think a lot of it has to do with my background. I grew up in Canada, and my father is a Buddhist minister, and we never had a lot of money. There were five children to take care of, but we were never hungry, and that was, in large part, because we had so many people in our lives who were farmers and fishermen who gave us lots of food. And I think that that early connection with the local food system has just really stuck with me and has become something I really care about. And of course, if we don’t have a robust and resilient local food system, we really lose control over the types of foods that we’re putting into our bodies. And I think it’s really important to teach young people about how food is grown, and the people and processes that go into producing the food that you eventually eat. And so many young people, and maybe even adults, don’t know where our food is coming from. TM: The other thing that is in your description of the work that you do is, you call it food equity. What is it that you, when you talk about food equity, what is the situation? Are you trying to say that people who actually are wealthier have better diets? BI: When I think about food equity or health equity, I’m really talking about making sure that all people are in environments in which they can have access to affordable, nutritious foods that promote your health. And we currently live in a society where there are so many people who simply don’t have that. And particularly people who live in lower-income communities or in communities of color are disproportionately exposed to food environments that don’t promote health. TM: And so is that, though, an inequality issue, or… You know, I see some people who seem like they’re fairly well off but they don’t seem that healthy. BI: Yeah, well, definitely it’s complicated, it’s complex. And I do think that across the country there are people who are living in communities where they just don’t have access to nutritious food. And not to say that if you do have the resources to buy those foods that you’re necessarily purchasing them. But I think it’s really important to be able to give the communities that don’t have resources the resources they need in order to bring those foods into their communities at whatever level, whether it’s for young children or adults. TM: So is it really a question of not having the resources to buy the foods? Or isn’t there also a gap between the ability to cook? BI: Yes, definitely. I think that there’s definitely a generational gap, where people… You know, we pulled home economics out of the school system, and now we’re focusing on other areas of our school curriculum, which are important, but it’s really critical, I think, that children learn how to cook. It’s a life skill that every child should be exposed to and have an opportunity to enjoy. TM: Well, you know, you hear a lot about people who definitely are not on the upper middle class or even middle class level, being from families who, both parents are working. They’re like, “Wow, cook? I’m lucky I get my kids picked up from wherever they’re being and stop at McDonald’s and get something down them, and I don’t have the time.” Is it a struggle then, that cultural aspect of trying to work with parents? I mean, it’s complex, isn’t it? BI: Yeah, it is! It’s really complex. And my husband and I both work full-time and we’re constantly trying to juggle a million balls and keep them all in the air at the same time. And actually my husband and I have a very different mindset around feeding our children. BI: You know, for him, as long as they’ll eat it, it’s mildly nutritious, and it doesn’t create a mess, that’s okay. TM: (Laughing) So it’s just a good guy. Excuse me! And what I’ve learned, my experience in working with the communities I work with is, well, when you don’t have a lot of money you can’t afford to take the risk of buying something that looks nutritious and having your kids throw it away, especially if you yourself don’t want to eat it or you’re not familiar with it. TM: Well, you know, we’re going to circle back to that, but I really want to dive into your project, the Harvest for Healthy Kids project, which basically, it looks to me, is a kind of a collaboration between Portland State and Mount Hood Community College. BI: Yeah. We began the project many years ago, and it’s a harvest-of-the-month type of program, so every month the children are exposed to a different locally grown fruit or vegetable. So it might be beets, for example, and during that entire month, the teachers experiment with beets. They eat beets, they cook with beets, they look at beets, they read books about beets. And then the kitchen prepares beets in lunch or for a snack. And then that information gets fed back to the families. So this goes on every month. And it’s a curriculum that I and my graduate students developed in partnership with Head Start teachers and Early Head Start teachers and family workers and parents. And it’s gotten really good feedback. I currently have a couple of Early Head Start teachers who train others across the country to use this program. BI: Yeah, it’s fun. And all the resources are available for free download on the Web. But that was really important to our Head Start partners, that the resources were available for free, because, of course, people who work in early care and education settings don’t really have a lot of extra money to purchase materials. So these materials are all available on our website. TM: Well, I was impressed that this project is funded by Kaiser and the Meyer Foundation and also the Walmart Foundation, and that one of the things you are trying to do is upgrade the materials. And I think that you also have a winning equation when you said and we have the parents and the families and the teachers and better materials. So you need all those things, don’t you, to make it successful? TM: Yeah. And then, when you were talking about beets, I was laughing because you know how kids are, but I kept thinking, I wonder if they talk about how beets make your poop red. BI: Oh, of course! Of course they talk about that! And they eat red beets and then stick out their tongues and marvel at how red their tongues are. TM: Yeah, it becomes a really tactile and physical thing, isn’t it, with beets. And really, do you get the kids to like beets? I want all my listeners to perk your ears up here. BI: Yeah, yeah—I have many kids who have never tried beets before, and then tried them for the first time and really liked them. And sometimes it takes more than one try, and sometimes just getting close to the beet is a win for that child. And one thing I learned when I was in Japan is that I’ve always wanted kids to love every vegetable that I introduced to them. I want to take them from hating a vegetable or never being exposed to it to loving it. But when I was in Japan, I realized that kids don’t have to love every vegetable. They just need to eat them. BI: You just need to eat them. They’re important, they’re good for you. And in life there are a lot of things that we do that we don’t really like to do—like vacuuming. But we have to do it. And so my experience in Japan really changed my mindset around my goal. I would be thrilled if every child loved all the foods that I introduce to them, but the reality is they may not. But if they can swallow it and tolerate it and learn to enjoy it, I think that’s great. TM: If you’re just joining us, you’re listening to Rootstock Radio, and I’m Theresa Marquez. And I’m here today with dietician Betty Izumi, registered dietician and also associate professor at the School of Public Health at Portland State University. And we’re talking about how to get kids to eat and like healthy food. And I am very curious now to talk to you about your experience in Japan, that they have very, very low food waste. And in this little documentary that I saw, every one of the kids’ dishes was completely clean. They eat everything. Does that really happen in Japan? Do they have a culture of, oh, if you are given food, you eat everything? BI: Yeah. No, that absolutely really happens. And what I did for my research in Japan last year was I looked at food waste in Tokyo elementary schools. And the reason why I did is because I was so curious about their very low levels of food waste, not even 7 percent, and that includes orange peels. And just thinking about that within the context of the U.S. national school lunch program: our food waste here is about 30 to 50 percent. BI: And so I wanted to learn what was happening in Tokyo elementary schools that helped to minimize the food waste. TM: And so what did you learn? BI: Well, there's a lot happening. I will say it is true that the Japanese are very concerned about waste. There is a culture of eating without waste, and eating without waste is considered an expression of gratitude towards food and the people and processes that were involved in producing that food. And food is really recognized as a gift of nature. And so I think that that cultural piece is really important. And the very first video I watched with students in Japan was one that was focused on why it’s so important to clean your rice bowl. And it wasn’t focused on nutrition or even farmers. It was focused on the people who were washing the dishes. And rice is very sticky. And so the message in this video was, by making sure you eat all of the bits of rice in your bowl, you’re helping the people who are going to be cleaning your dish later. BI: It is. There’s a lot of respect for food and the people who are involved in producing it, cleaning the dishes, growing the food. TM: You know, it’s so interesting to think about approaching food and good food habits, not so much as your health but out of respect. And that seems so Japanese. Like, for example, you hear often that Japanese are more respectful to their elders. So do you think that this permeation of respectfulness in the Japanese culture has really influenced a lot of their eating habits as well as just their day-to-day lives? BI: I definitely think so. This notion of food gratitude truly does influence every facet of educational life for young people in Japan. It’s present in the national curriculum. Of course, all of the children eat school lunch together, and they serve one another, they serve their teacher. They put their hands together to say “Itadakimasu” before they eat, which is an expression of thanks and for this bounty of food. And then after they finish eating, they again put their hands together and say, “Gochisosamo deshita,” which means “Thank you for this feast”—I mean, very loosely translated, but in essence, that’s what it means. TM: And they all do it. BI: They all do it. BI: Right. It’s just a way of stopping and being grateful for your food. And yes, Theresa, you’re right: it’s not about religion. It’s about the Japanese culture, and everybody participates in this ritual every day. TM: So you really, in Japan, learned a lot about the culture. And when you talked about how it’s infused in everything, I immediately was thinking how much sense that makes. And 70 percent of our resources—water, earth, soil, air—goes into the production of food. Tell me what you think you learned in Japan that you can take over here to the Head Start program. BI: Well, I think one thing that’s really important is measuring food waste. So in Japan, the schools are responsible for measuring food waste every day. And that’s not measuring the waste of an entire meal but measuring the waste of each component. So how much miso soup was left over? How much milk was left over? And students are involved in measuring that waste. And I think that, at a minimum, we need to measure food waste in our school lunch program so that we can understand the nature of the problem. How big of a problem is it? What is being wasted? And once we understand that, we need to try to identify solutions and engage students in identifying those solutions. TM: Well, you know, when you talked about Japan, you said everybody at the school all eat the same thing. What do you think? Should we be doing that here in the U.S.—everybody have the same lunch? BI: Well, in Head Start, actually, they do. So in Head Start, children eat family-style. BI: But of course, the program is for three- to five-year-olds. And then in our national school lunch program, children have a lot of choice, typically several choices. They might have a turkey and cheese sandwich, a chili, peanut butter and jelly sandwich, and a cheese stick, yogurt and granola. So they have many choices. And I think that I would love to see a program where everybody was eating together, eating the same meal. And really, in Japan, by eating the same meal, it’s an opportunity for teachers to talk about the meal and to be able to talk with students about where those ingredients came from, and to bring in the farmer who grew the ingredients. And it’s more difficult to do that when you have many different choices, to use that lunch period as an opportunity to discuss the different types of foods. Of course, you could do it—it would take more time. TM: One or two people. BI: Exactly, a few people who bring lunch from home. TM: Well, you know, the other thing that you pointed out from the Japanese culture that seems to be a little bit low, I think, in our culture here is respect. I hadn’t really thought about that. When I grew up, you cannot insult your mother by not cleaning your plate. That was the rule. You can’t insult your mother. How can we infuse our culture with some of these attributes that could potentially help us control waste more or be better eaters or eat more nutritiously? BI: Yeah, I mean, I don’t think that people should feel guilty about eating and feel like…just feel shame around their food. I don’t think that that would be a positive direction in which to move. BI: So students in Japan don’t necessarily like the foods that they’re being served, but they eat them. And part of it is definitely peer pressure. But there is a sense of respect for the people and the processes that are involved in getting food to the school lunch. And when I ask children about why they eat the food they don’t like, they say, the loose translation is, “Because somebody made it just for me.” And so it’s this idea that somebody took the time to make something for you. They weren’t thinking to themselves, “Oh, you know, they’re going to hate this so I’m going to serve it.” They were thinking to themselves, “You know what? I think that the kids are going to really love this, so I’m going to make this.” And I found that in Japan the kids really internalize [unclear], and that’s part of why, I think, they do eat the food on their plate. Now, I think that another thing that’s really important is the portion sizes are smaller, and children have more say in how much food that they’re getting. And in the U.S., I actually don’t want my children to go to a restaurant and get a huge plate of pasta and eat it all. The portion size is too large. And I think that one of the reasons why in the U.S. we talk to children about not finishing their food, you know, the message really is, “You don’t have to clean your plate.” And one of the reasons why I think that’s so is because the portion sizes are so big. So if children could learn from a young age how much they’re able to eat, what the right portion is for them, then I think that they’ll be more likely to eat it. So when you have any kind of a family-style setting, where kids are serving themselves, that definitely allows them to practice taking the amount of food that they think that they can eat. And then over time they’ll be able to adjust for themselves. They’ll be able to know their own bodies and how much they’re able to eat. And in my home, I always tell my children, “Just take a little bit to start. You can always have seconds, but just take as much as you can eat.” And I think it’s really important for kids be able to take less and eat more of it. TM: So you have a lot of experience now, on the ground, or I should say in the kitchen, with the Head Start project, with the Harvest for Healthy Kids project. I’ve heard your formula of you’ve got good education materials, you’ve upgraded those; you have teachers involved; you have parents involved; you have the kids involved. And you’re seeing some change there. Is all of it adding up together? What do you think are the things that really have helped children eat more nutritiously with a little bit more gusto? BI: Definitely exposure. I think it’s really important to give children multiple opportunities to try new foods. And kids don’t want to eat things, or even adults don’t want to eat things that they’ve previously had a bad experience with or that they’re not familiar with. And so the more that we can expose children to foods and help them learn about where they came from and how they might taste, the more, I think, that they’re going to try them. The more they try them, then hopefully they’ll develop a palate that is able to enjoy a wider variety of foods. So if children are exposed to ten new vegetables, then it increases the likelihood that they’ll be more willing to try new foods in the future, if they have positive experiences with trying new foods. TM: Www.HarvestForHealthyKids.org is where you can get more information on the wonderful program that you’re involved in. And for our listeners, don’t forget: two cups of vegies and two cups of fruit every day. And once again, thank you so much, and all of you listeners out there for listening to Rootstock Radio. You can listen to Rootstock Radio on the go wherever you get your podcasts, and find us online at RootstockRadio.com. Rootstock Radio is brought to you by Organic Valley.